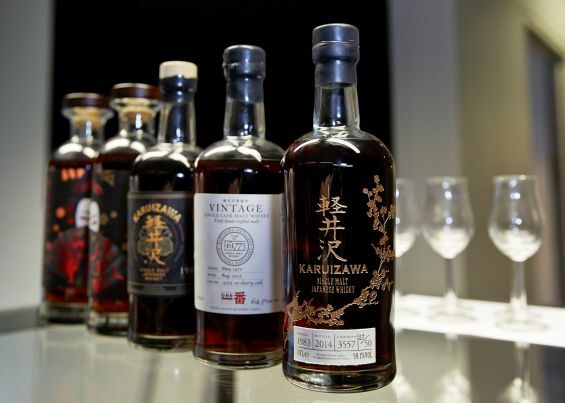 It was billed as the most expensive whisky tasting ever staged, and there was an appropriately reverent, almost nervous air as people took their seats for this one-off tasting of five extremely rare Karuizawa whiskies at The Whisky Show. 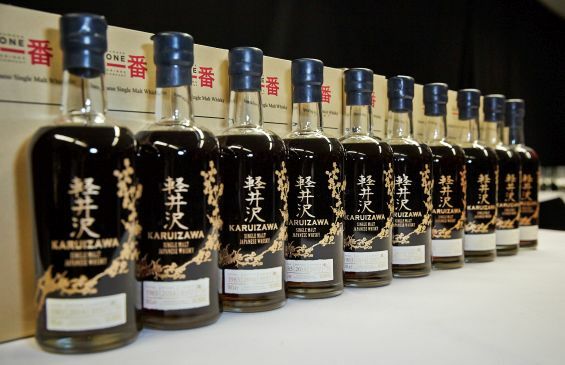 Every seat was sold and the event was hugely over-subscribed, despite the £6,000 ticket price, which included an ultra-rare bottle of Karuizawa 1983 (limited to just 50) that all attendees took away with them; all proceeds from the tasting have gone to charities helping those affected by the devastating earthquakes in Nepal. Nose: Dark chocolate cake and toasted nuts with bitter espresso and exotic fruit – passion fruit and banana. Then a rich creaminess, with toffee and vanilla ice cream appears. Palate: Quite hot, but with wave after wave of sweet spice, cinnamon, nutmeg and cloves, with notes of sandalwood, sweet smoke and barrel char. Finish: The spices mingle with the oaky notes and last a very long time. No sherry here, so less of that dried-fruit character, but delicious layers of rich flavour nonetheless. Nose: Heady rush of orange oil. Fresh, with wood polish, leather and tobacco. Water brings out a meaty character. Palate: Chocolate cake laced with citrus, bolstered by a touch of peppery smoke. Christmas-cake spicing, dried fruit soaked in rum, cigar box and coffee. Needs a lot of time to appreciate. Finish: Big, big big! The flavours go on and on, particularly the savoury notes of wood, leather and spice. Nose: Fresh, with menthol eucalyptus aromas, with floral, minty, sponge-cake notes. Not heavy on the nose at all. Palate: Bigger flavours now: dark chocolate, toffee, crème brûlée, but that floral freshness is still there, bringing in a clean, refreshing note to what is an intruigingly sturdy whisky, packed with Christmas-cake spices, dried fruit and leather-book notes. Finish: Everything in balance, with the fresh mintiness counteracting the rich fruit and spice. The fourth whisky of the Masterclass was from 1970 and in marked contrast to the whisky that preceded it. Nose: Alcohol prickle, rich spiciness with heady aromas of cinnamon, mulled wine and raisins, then hot buttered toast, brioche and cookie dough. Very enticing. 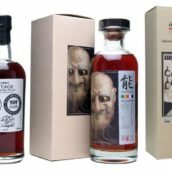 Palate: So much sherry-cask influence – boozy raisins, dried fruit and sweet spice – ramped up by exotic sandalwood and incense notes. Bit of a crowd-pleaser, this one, with the classic fruit-and-spice combo that sherried whisky fans crave. Finish: The rich dried fruit lasts longest, but it’s jazzed up by warm spiciness. Powerful but not over the top. The fifth and final whisky had never been seen before. 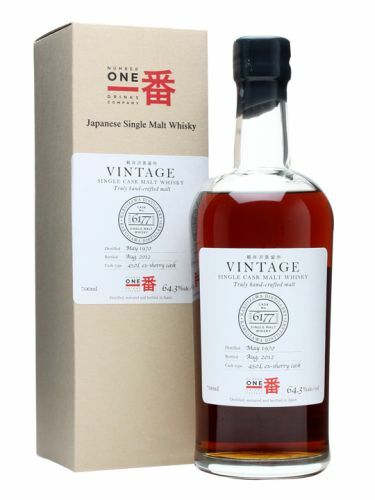 An ultra-rare 1983 Karuizawa, limited to just 50 bottles, and bottled specially for the Masterclass. After tasting it, Dave said it was ‘like walking into a fine antiques shop’. Nose: Rich, gooey chocolate cake is the first aroma that hits you, quickly followed by roasted almonds and hazelnuts and woody spices: cinnamon and nutmeg. There’s a lovely heady blast of Madeira-soaked fruit mixed with molasses and crème brûlée, with a welcome freshness, too. Palate: The spiciness is more pronounced on the palate. The dark chocolate is still there, but it’s Maya Gold with a sprinkling of pink peppercorns and ground espresso. Weighty toffee fudge and burnt treacle are enlivened by Morello cherry notes, and extra complexity arrives in the form of leather-bound books, linseed oil, sandalwood and cigar box. Finish: Fresh, fruity notes counteract the rich chocolate and spicy character, creating a beautifully balanced finish. 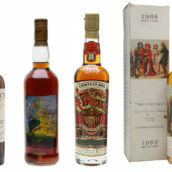 The five whiskies were all big and beautiful, rich, spicy and generous, but all so different, much more than I’d expected. 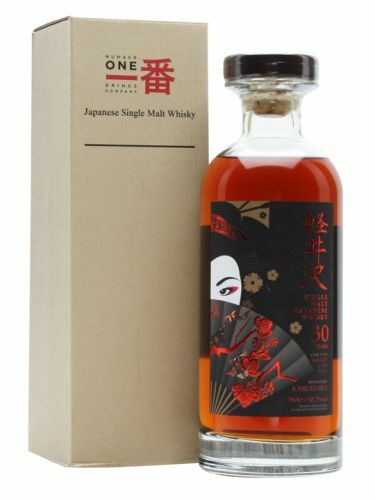 Of course, the dried-fruit and Christmas-cake spices were all there, but we went from light and playful (29yo bourbon) to dark and brooding (1981) and finished with a bells-and-whistles bottling whose flavours went on and on (1983). 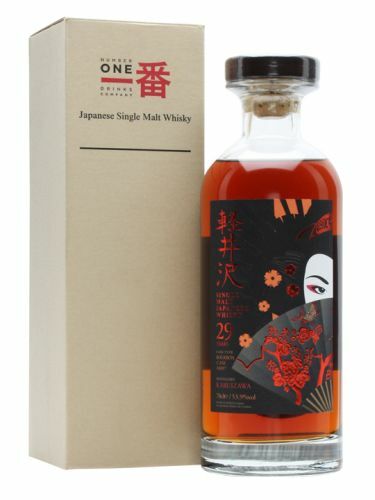 @WhiskyExchange @davebroomwhisky @TWEBlog An incredible thing. Kudos. 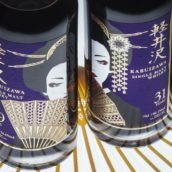 I don’t quite understand the buzz yet of Karuizawa. Why don’t Brora and Port Ellen have similar prices? Is it just marketing? 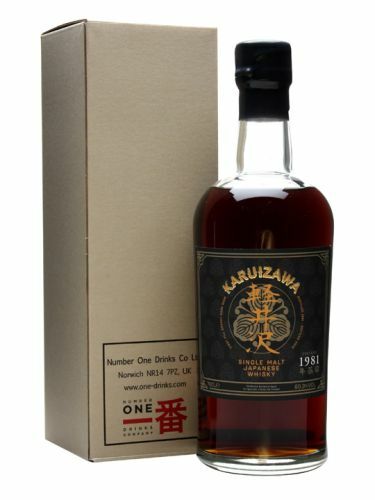 Does anyone know how many casks Karuizawa have left? The Art of Whisky – what makes a beautiful bottle? 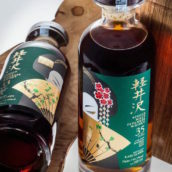 Karuizawa: what makes it the world’s rarest whisky?